It also finished the packet, so I’ll pop those on the list. I made a new batch of the Instant Hot Chocolate mix for The Boy. I’m told I’ve nailed the mix of spices. However, we are reaching the end of the powdered milk, so that has also been added to the list. 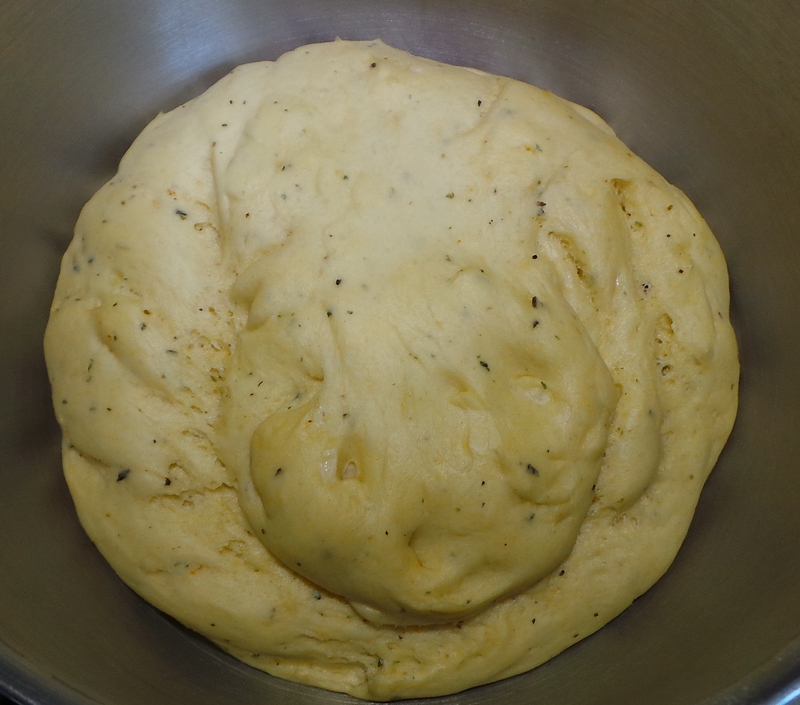 While I was in the kitchen, I decided to mix together a pizza base for my step-father’s visit on Wednesday. I’ve still some BBQ chicken meat frozen and that would work well on a pizza. I decided to add some mixed Italian Herbs to the flour before adding the wet ingredients. This should add a boost of flavour and the aroma will be magnificent. I made enough for two bases – one is currently in the refrigerator and the other is in the freezer (natch). Let me know if you guys would like me to do a post on making pizza bases. Dinner tonight was going to be risotto, but I didn’t have enough Arborio rice. 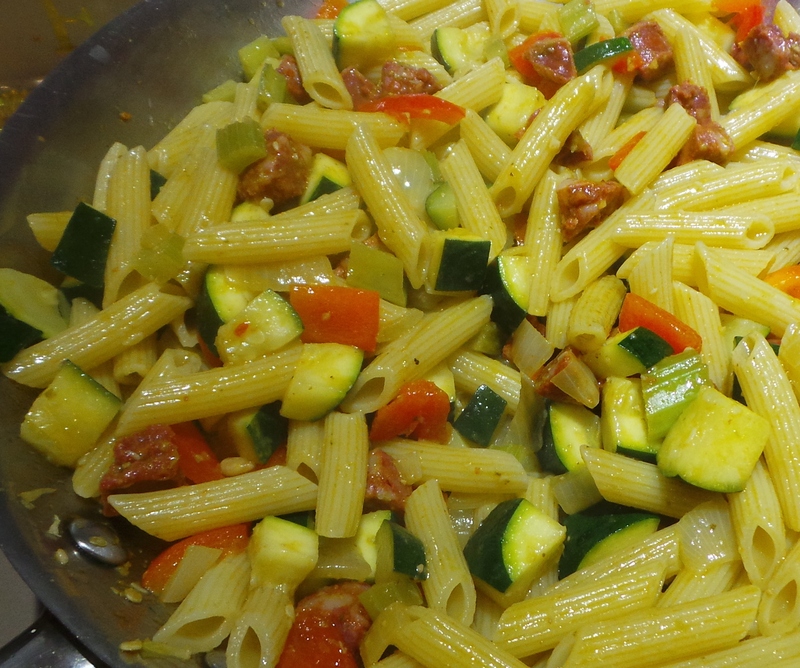 So I did a pasta dish instead, mixing up the rest of the fresh vegies in the fridge with some chorizo, penne and pesto. It was yummy, if I do say so myself. This was dinner in the Budget Bounty household. I’ve started thinking about the shopping later this week. I don’t think I can fit anything more in the freezer without it exploding. I’ve also still got most of the frozen vegies I bought last time, so I shan’t need to get any more of those. I think it shall be a fresh vegetable and pantry dry-good shop this time around.